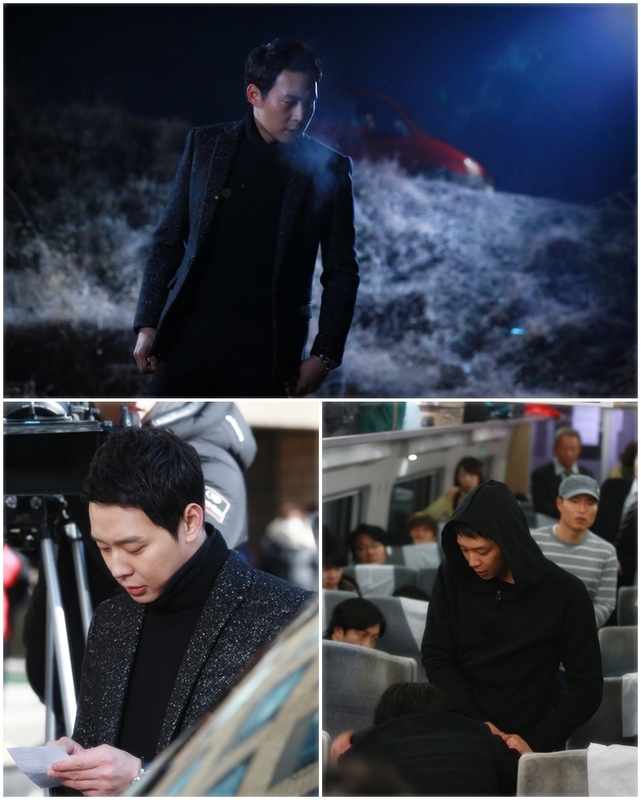 ‘Three Days’ is our Park Yoochun in his element. He is a natural law enforcement actor; full of good intentions, an inquiring mind, action, and just enough of that baby-faced look to endear his character to your heart. Yoochun is an excellent actor. He makes each new role believable and distinct from the one before it. He also has a proven track record as a leading man. The melodrama unfolds with a tragic attack on Han Tae Kyung’s father, the Minister of Finance. Tae Kyung is devastated by his father’s critical condition, and is subsequently distracted while guarding the President in the marketplace. After failing to perceive a possible threat leading to the extraction of the president, Han Tae Kyung learns that his father has died. He is put on probation from his position as a presidential bodyguard, and allowed to join his grieving family. Tae Kyung takes his proper place as the surviving son. He meets the police investigator who was first at the crime scene, and her inquiries lead to the search for a missing envelope. To add to the drama, Tae Kyung discovers a dying man who reveals a plot to assassinate the president. Early on, the script fully emphasizes that the responsibility and commitment to family is superseded by the commitment to guard the president. As the drama unfolds we are witnesses to a city-wide blackout. Tae Kyung has failed in an attempt to inform authorities of the plot to assassinate the president. I hope that the writer will clarify the plot a bit more, but predominately this is an excellent opportunity for Yoochun to once again take his place among the ranks of the city’s finest, and to create another memorable performance. Fighting!!! Narrative Credit: Momma Cha @jyjfantalk.com. Editors Note: Where Has Respect for Public Sacrifice Gone? It is truly sad to read so many negative comments during the mourning period for former president of South Africa, Nelson Mandela. Many people today may not know who this man was, but he was instrumental in bringing peace to a part of the world that did not have respect for all peoples. Serving as a political prisoner for a large portion of his adult life, Nelson Mandela wanted freedom for everyone, regardless of race or nationality. The closest comparison of persons that I have experienced in my lifetime would be Dr. Martin Luther King, Jr. and President Nelson Mandela. Although Dr. King chose non-violence as his weapon, and former President Mandela chose to take up arms, both won the Nobel Peace prize; both sacrificed dignity and self for the rights of others. As this period of mourning goes by, I extend my sympathies to the family of former President Mandela, and hope that there are many more statesman in this present generation who hold dear the concepts of freedom, dignity, and loyalty. One thing does lead to another. This may sound trite, but whenever there is a reporting of one disaster or potential disaster, it seems as if others are encouraged to vent their own grievances at their society or at society as a whole. The ongoing inflammatory posturing of North Korea, and even China’s assertions that the United States is stirring up trouble in the Asian region are bad enough without the addition of a violent bomb attack at something as monumental, traditional, and family oriented as the Boston Marathon. The objective in both scenarios is to shock and disorient others in an attempt to gain a personal goal. In the case of North Korea there seems to be an attempt to cause fear and gain rewards for outrageous behavior. The Boston Marathon bomber(s) appear to seek notoriety and the ill satisfaction of killing and wounding others. There is never a reason to take either stance. Throughout history there have been innumerable examples of posturing, aggression, and terrorism; so this is nothing new under the sun. However, the tragedy is in the sadness that these unnecessary acts of aggression should exist at all, and especially that they should harm and target innocent people. Over the span of the last 100 years, among the outstanding wars and conflicts have been WW I, WW II, The Korean War, The Vietnamese War, and the Mid-East Conflicts. Some of these have never been fully resolved. This leaves a climate of potential trouble that can occur on any day or any hour, and certainly on any continent. The world is facing an ever-growing disregard for people, societies, and moral values. Life is considered highly expendable, even to the extent of euthanasia which extols allowing the sick to die to benefit society. On the local level there is more disrespect for each other while shopping, traveling, or attending recreational events. On a national and international level this same dynamic is present. Patience as a virtue is not winning the day. 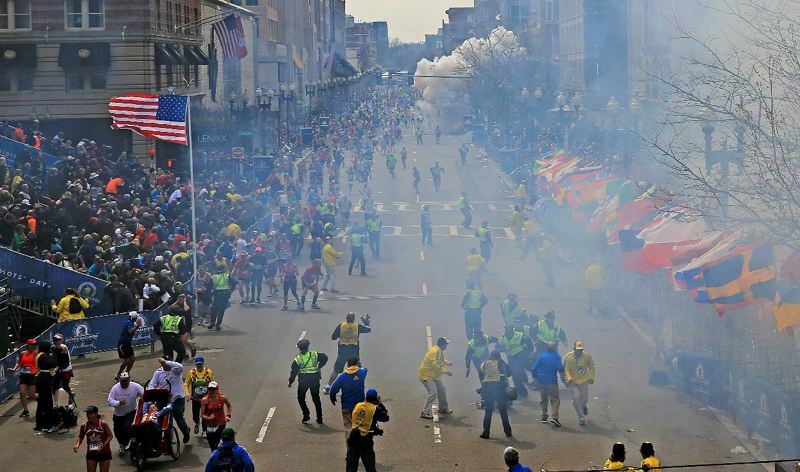 I pray that the Boston Marathon bombing is not a prelude to even more detestable actions on the part of individuals, groups, or world powers. Life is hard enough without having to imagine yourself under an attack from someone you have not only never met, but have never held in contempt or derision. Please pray for the Richard Family, who suffered the loss of their son, Martin, and also suffered personal injuries. I’m sure that their presence was to support and cheer on a hard-working athlete and father who deserved respect, as did everyone attending or participating in this race. No one at the event deserved pain and injuries. Please also pray that the investigation of this crime will yield information that will lead authorities to the perpetrators. This tragedy has been compared to 9-11 and the Oklahoma Bombing. It was certainly meant to disrupt a momentous occasion in our nation’s history. Easter is an exciting time for me. There is so much activity to celebrate the Cross of Christ which brings me to the understanding of who I am in Him. It is His Spirit in me that makes me love everyone around me, and even those far away. As we celebrate Easter of 2013, it is with gratitude that winter is starting to release its grip on the land. The robins are here, leaner than before, but they will soon fatten up on the earthworms. There is still an abundance of snow that is slowly melting here on the farm. This creates deep mud, and I go out each day with a prayer that there is enough firm earth to safely make it to my car. There has been so much moisture that the asphalt driveway sways slightly beneath my feet. I need the beautiful green grass to energize me; the birdsong to lighten my heart, and the color and beauty of the crocuses and daffodils to herald that Spring is finally here. Spring and Easter are both my motivators to begin the renewal process. The garden beckons me with a longing to feel the dirt between my toes–an old habit from childhood and part of the Joy of Spring. Easter is also filled with music–my major motivating force. It is the music [ I embrace many genres] that gives me heart-ease, strength, and a bright horizon to share with others. Singing comes naturally, I have been singing and writing music since childhood. Music is as breath to me. My world begins to shrink without music, and depression tries to sink into my soul. 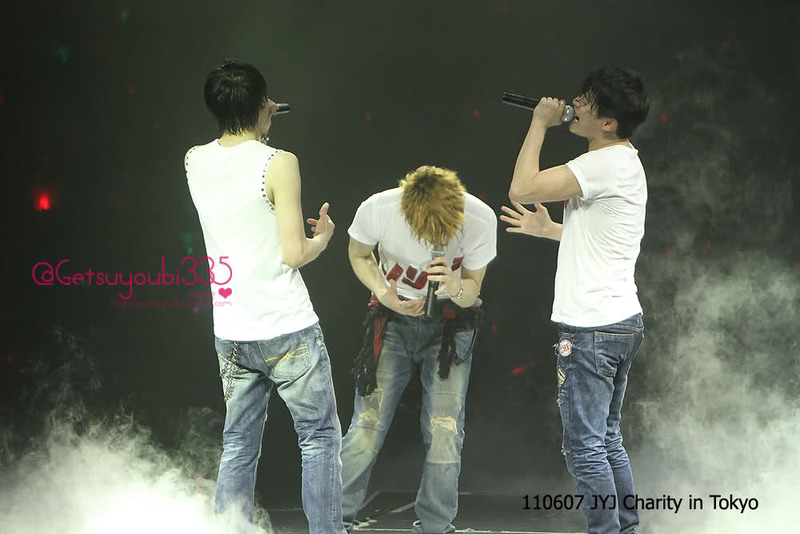 I do not fully understand the draw of the music that JYJ and TVXQ bring to us, it is simply there. I relax to it; I enjoy the lyrics, the rhythm, and the beat, and I especially enjoy getting to know the people behind the music. As a youngster growing up, I simply embraced the song. Now I have learned to embrace the song and the songster. To those who celebrate Easter, I am with you. To those who do not, I am still with you. Love encompasses all and makes this world a better place. Editors Note: Whew! Is it Really Over? I am so happy that this is also resolved. Our Guys deserve opportunities to go to Japan and to be able to perform there. Hopefully, this will release the iron band that still seems to surround JYJ. Just a word to the wise–use your freedom to create good products and good memories. Sometimes in the giddiness of freedom after a long imprisonment there is a tendency to want to fly as high as possible. Please take it slow and make it meaningful for us all. Japan has a lot of memories good and bad for Jaejoong, Junsu, and Yoochun, but I believe the good predominates. What’s also important is the fact that the Japanese fans have not ceased in their ardor for DBSK or JYJ. The Boys will be welcome. Addendum: It seems as if Avex is filing an appeal of today’s court decision. Par for the course. I am totally in love with the characters of both Jung Woo and Su Yeon in this love-struck tragedy that has so few comedic elements in it that it’s claim to comedy is almost nil. Yes, there are some cute personal moments between Jung Woo and his “girlfriend” and “wife”, however, this drama is intense with betrayals, pain, and loss of such magnitude as to make you cry along with the main characters. I salute Yoochun’s acting in this role. He manages to make us cry, laugh, exclaim over his sweetness, and have a desire to touch the vulnerable cheek he presents so well. Yet he also presents a tougher side tempered with mercy, and the attitude of a gentleman when needed. To be honest, this drama goes so emotionally deep that you are left speechless at times. All of the characters are well-portrayed with Harry running an absolute third in the lineup but I believe his acting is truly top-notch as well. Su Yeon has just the right amount of angst and vulnerability to draw her into your heart. The support cast of seasoned actors is superb. I am looking forward to the ending of this drama as a kind of relief. It has taken me through many emotional changes and where I stand right now is hoping for some happiness for our young lovers. I believe that it is the option of the writer to end this tragically or with hope. We wait to see which turn of events Jung Woo and Su Yeon will experience at the conclusion of this work. Yoochun, I applaud you all. It is truly remarkable how a drama can be so simple yet complex at the same time. “I Miss You” is such a drama. It’s simplicity lies in the typical love triangle. It’s complexity lies in the main driving force of the story–hearts abused and bruised by life that have formed layers of scars much like an onion. These scars will have to be peeled away one by one for healing to take place. Scars can reach into the deepest recesses of the soul, and the spirit can bury itself so completely that what occurred traumatically becomes unreality. I am so proud of the natural acting that Micky Yoochun is giving us in his role as Detective Han. He has exercised his acting muscles until they are starting to flow smoothly and believeably. I am always astonished at his ability to act as if there are no cameras, booms, directors, and others around him. He commands his acting space and he is surrounded by talented actors like himself. As a member of DBSK, and now a member of JYJ, Yoochun presents a steady persona. His stage presence, whether singing or acting is superb. I do not ever want to lose his throaty vocals, or this acting facet of his abilities.This solidity carries into his roles making them supportive and legendary. I will continue to follow this melodrama through his eyes. It can only get better from here. Thank You Yoochun. I Love You. Last year on Good Friday, 2011–The U-M Nam Center For Korean Studies in Ann Arbor, Michigan sponsored a colloquium on JYJ entitled. “Of The Fans, By The Fans, For The Fans”–The Republic of JYJ. Here at JYJ Fantalk we posted the results of that colloquium. Coming up this December 14th, 1:00 to 4:00 p.m. is another colloquium with speaker Jamie Shinhee Lee, Associate Professor of Linguistics, University of Michigan-Dearborn which explores the changing look of Korean TV. Sponsor(s): Center for Japanese Studies, Consulate General of Japan in Detroit, Subaru Research & Development, Inc.
Also, from January 12th to April 6th is a series of films representing Korea’s contemporary cinema.sponsored by the U-M Nam Center for Korean Studies. What marvelous acting, sets, and screen play through Episodes One to Four!!! I believe that this will remain a deeply moving melodrama from start to finish. Micky Yoochun emerges as the adult Han Jung Woo in Episode 5, and from a glimpse at the previews, this will be a challenging role that he is well able to portray. There is an immense depth of emotion and Park Yoochun is able to play this character emotionally, physically, mentally, and, yes, spiritually. All of these are a part of us all. I commend the young actors, Yeo Jin-Gu and Kim So-Hyeon for their remarkably real portrayal of their characters. They have set a standard for all to follow. I left the fourth Episode with hope that Lee Su Yeon is found quickly and that the perpetrators will have to live with the results of their actions. I would not ever want to see this happen to any family and especially to this distraught mother, father, and sister. Han Jung Woo has hardened himself to deal with the pain, as has Lee Su-Yeon. Can they truly open their hearts again? 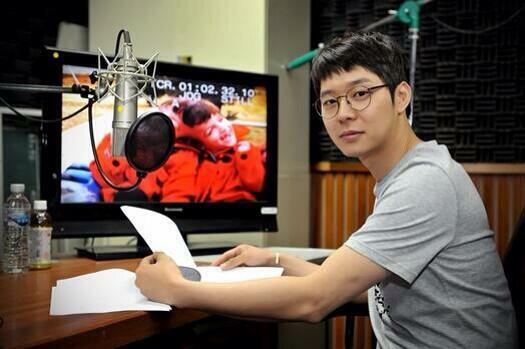 I bow as you enter this melodrama Micky Yoochun, and the best to you, the cast, and the production. First of all, assuming that the information in the article posted by dongbangdata.net from Twitlonger is true, this is not the first time that this type of manipulation and disrespect has occurred. 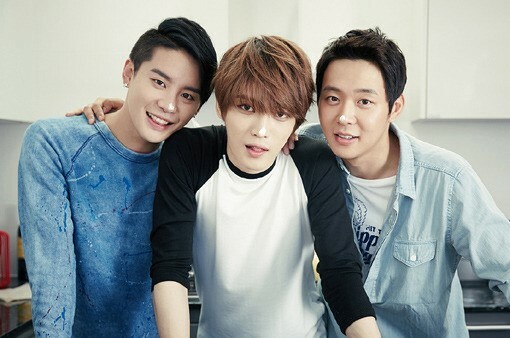 When JYJ were the spokesmen for the Seven Wonders of The World campaign, they were used and then “fired” from the job. There are many more examples of the arm of the media deciding to ignore the court decisions that dictate non-interference in JYJ’s activities. 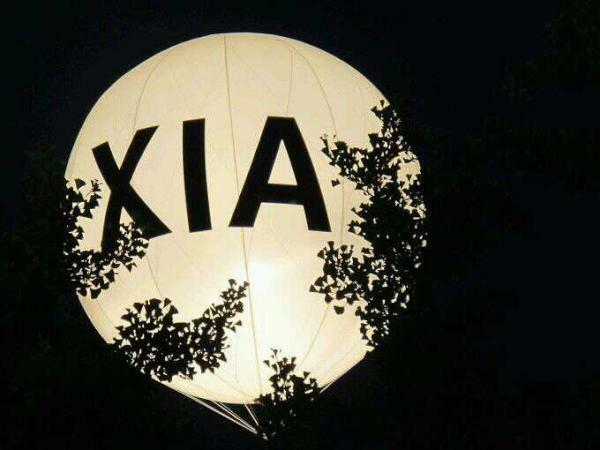 Technically, JYJ was not performing, Xia was performing, and as an individual he is not the sum total of JYJ. This was just another blatant slap that was designed to subdue the rebels. I truly believe that the reason why SM & Co. cannot seem to come to agreement with JYJ is based on the gameplan of: as long as the court case is undecided we can have a field day blocking every attempt by JYJ as a group or as individuals to perform on TV. What they do not realize is that all their attempts to keep JYJ down only furthers the cause. JYJ fans are unique. Even those of us who are considered OneTrue5’ers are as sincere and passionate about JYJ as we are about TVXQ. How is that possible? 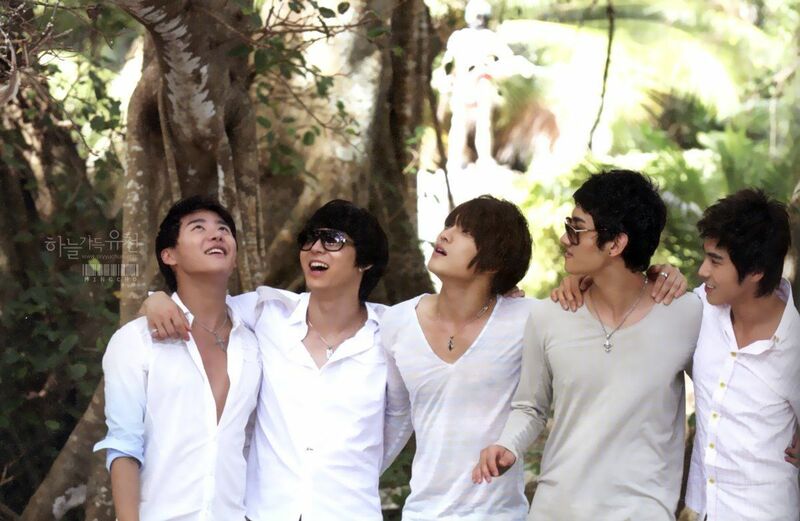 The love that was and still is for DBSK simply extends beyond the boundaries of law suits and separate companies because the original love is for five individuals that comprised DBSK. It’s that simple. You do not ask a mother to separate her five children into camps of 3 and 2 in her heart just because they may be quarreling. But…Back to Task. Our hearts bleed easily because true lovers love deeply and what hurts those we love hurts us. Chin Up, Lovie. You will always have a place in this mother’s heart. I’ve worked in public service positions my entire adult life. Public Service is rewarding in some aspects, but it can carry severe risk. A public servant is subject to whom he/she serves–the people. In the instance of Chris Stevens–the political morass called world politics. So why do people choose to serve in the public arena? What compels an individual to risk life and limb, or even reputation, in the struggle to help others. I believe that there is a call on a person’s life that they recognize early on, and this call continues to persist until it becomes reality. Public service encompasses many fields and has many applications. On a local scale it is the teacher, counselor, preacher, policeman, librarian, social worker, editor…I could go on. On the national and international level it is the Newscaster, the Senator, the Representative, the Judge, the President, the King/Queen, the Soldier, the Ambassasor… By the term public, the nature of the work is made known, and the implications of the task are defined. To perform public service work you must engage the public and all that term implies. This is where the rubber meets the road. Commitment is a strong concept and action, and there are many who cannot commit. This is because committing involves giving over a large part of yourself to someone else’s control. It means serving when your own natural instincts scream “no”. It means making the decision to risk a loss in the effort to lift someone else up. It can span as wide as a neighborhood, a town, a nation, or the world. Over the span of history many public figures have been martyed. I salute Ambassador Chris Stevens for the ultimate sacrifice he and others like him have made in the cause for peace. May their effort on behalf of the common good last for eternity to inspire others to also toil to serve the struggling masses regardless of differences in ideology or societal norms.